Hundreds of new open source software projects are published on Internet each day. The vast majority are built by private individuals in their spare time, or at least this is how the projects are starting. The usefulness of these projects is secondary in nature, most of the time the goal is learning and personal development, or how somebody else put it, scratching one developer’s personal itch. This blog post is about how to package and publish an open-source project. I have this source code just sitting there on my hard drive, I wrote it some time ago, other people might find it interesting. Let’s start with the itch. 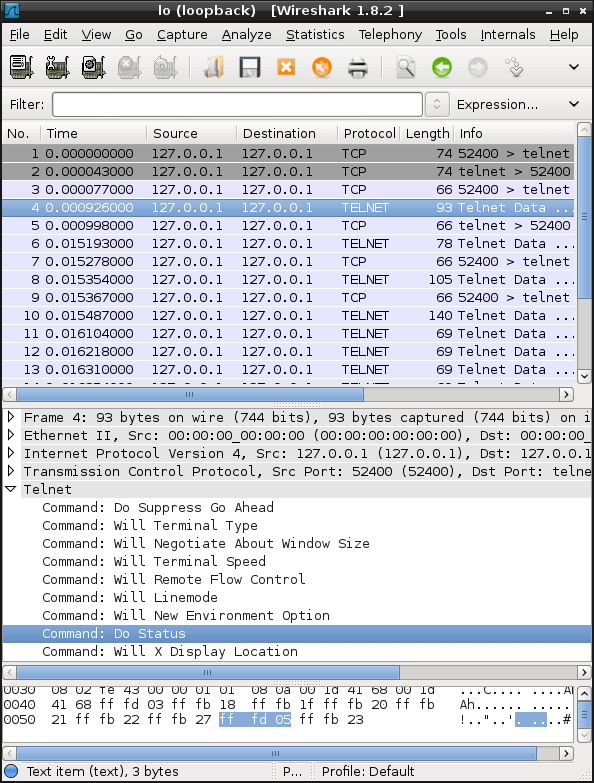 Many people are very surprised when they find out telnet protocol requires more than a TCP socket connection between a client and a server. There are two tty terminals involved, one on the server side, and one on the client side. These terminals are synchronized by special messages sent over the socket connection, mangled with the session data. This entry was posted in Programming and tagged autoconf, telnet on October 17, 2013 by netblue30.